Will Berlin hit its medium-term CO2 emission goals? Germany's increasing dependence on brown coal has raised doubts about whether Berlin will hit its medium-term CO2 emission goals. And though EU regulations have helped bring down vehicle emissions, critics denounce the political reluctance to confront Germans' passion for big, fast cars. Having led the pack on emission reductions thanks in part to a rapid expansion in power generation from the sun, wind and other green sources, Germany is now slipping behind, with CO2 emissions rising for the second straight year in Europe's biggest economy. 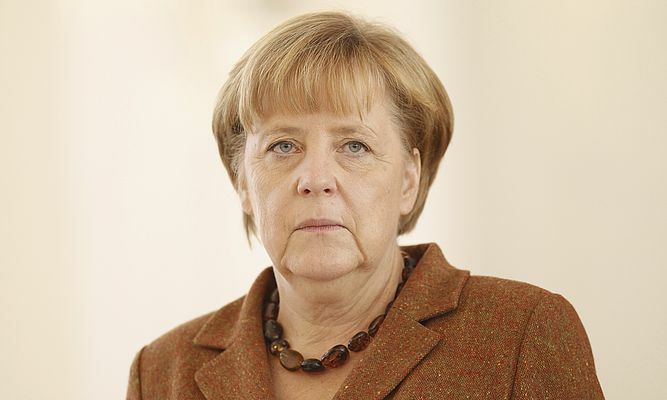 Just seven years ago the media dubbed Merkel "climate chancellor" for convincing Group of Eight leaders, including then U.S President George W. Bush, to consider cutting greenhouse gas emissions by 50 percent by 2050. Ambitious then, it looks even more so now, especially as the Ukraine crisis pushes energy security up the agenda. After failure in Copenhagen, almost 200 nations are aiming to agree a U.N. deal to fight climate change at a summit in Paris in late 2015. With many nations still focused on reviving economic growth, achieving a binding treaty is expected to prove elusive. The "Energiewende", or switch to renewable energy away from nuclear and fossil fuels, is the centerpiece of Merkel's energy and environment policy. It is a bold experiment for Europe's industrial powerhouse that other countries might follow - if successful. Much concern is focused on Germany's reliance on brown coal, which harms the environment more than other types of coal, for a secure and affordable power supply. Last year lignite was the single biggest source of German power, generating 25.8 percent, and it has risen every year since 2010. Coal-fired power plants, responsible for about a third of Germany's CO2 emissions, are also hitting climate change goals. Germany's goals may be more ambitious than the EU's 20% aim, but rapid cuts in the early years were achieved relatively easily by overhauling Communist-era factories in eastern Germany. Last year, Germany emitted 951 million tons of greenhouse gases, up 1.2 percent from 2012. Pressed recently, Angela Merkel vowed to focus on it next year in Germany's G7 presidency but gave no clues on policies, such as boosting gas usage.